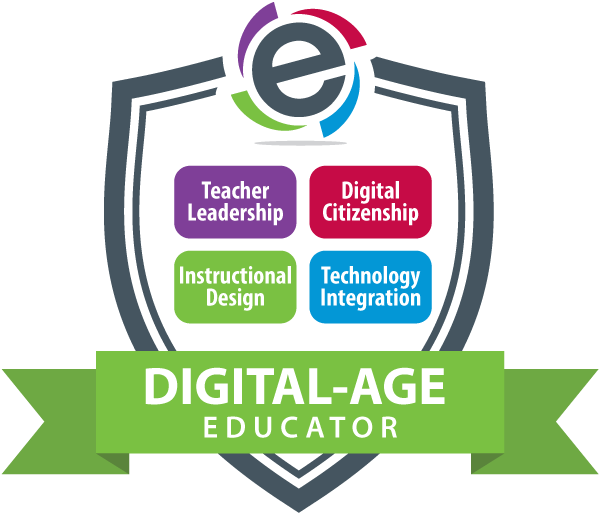 eMINTS Digital-Age Educator Program is an online, facilitated professional development program designed for teachers to become familiar with and design unit plans aligned to the ISTE Standards for Educators. 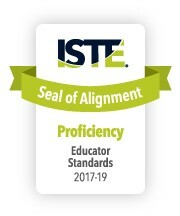 The eMints Digital Age Educator Program successfully underwent the International Society for Technology in Education (ISTE) Seal of Alignment review for Proficiency. Reviewers determined this resource provides substantial opportunities for teachers to practice the skills and knowledge necessary to meet the ISTE Standards for Educators. ISTE reviewers found the eMINTS Digital Age Educator courses to be well-developed, timely, and rich in material appropriate for educators across the K-12 spectrum with focused and practical real-world implementation strategies. 3.a. Create experiences for learners to make positive, socially responsible contributions and exhibit empathetic behavior online that build relationships and community.. This resource offers a flexible implementation plan and opportunities to practice the skills and knowledge necessary to meet the ISTE Standards for Educators.